The Consumer Electronic Show has become one of the biggest events for car manufacturers looking to unveil their latest models and the tech within them. CES is so big, many car brands (including BMW, Mercedes, Porsche, and Audi) have decided to skip the Detroit Auto Show in favour of the Las Vegas-based event. While new consumer technology is still the main attraction of CES, the auto industry has increased its footprint each year to demonstrate the future of transportation. CES 2019 was no exception. 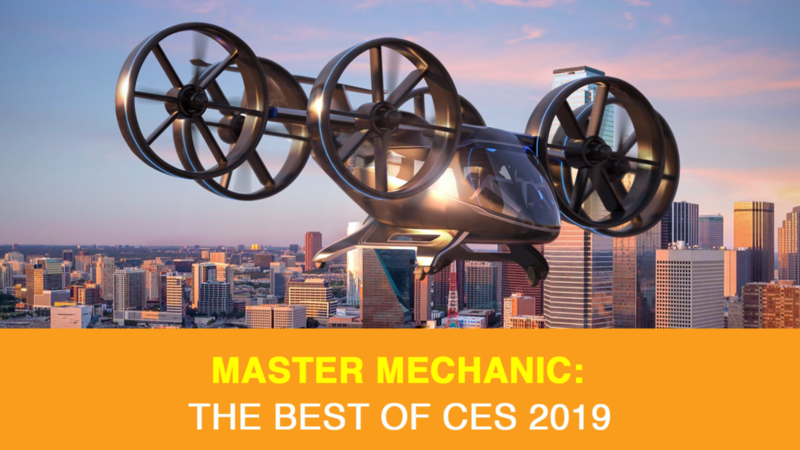 From built-in virtual assistants to modular transportation, we’re taking a look at some of the most innovative car technology at CES 2019. In the last few years, we’ve seen the rise of smart televisions, smart locks, smart lights, and everything in between. While we’ve seen some smart car features, Samsung took things to a whole new level at this year’s CES. For 2019, Samsung announced their new Digital Cockpit: a futuristic interior console for cars equipped with all the smart features that the tech giant is famous for. The Digital Cockpit comes equipped with Bixby (Samsung’s virtual assistant), which means drivers can control everything from the air conditioning, to navigation, with their voice. If car owners have other Bixby-enabled devices at home, they’ll be able to start their car and control its features from those as well. The Digital Cockpit also boasts a series of massive high-resolution touchscreen displays that span the entire width of the dashboard. The dashboard is equipped with modular apps like maps, music, and smart home monitoring to put control at your fingertips. This cockpit concept aims to make driver’s lives more convenient. With the right network of devices, drivers would be able to set the temperature at home, turn on the lights before they arrive, and start cooking dinner–all from the comfort of their car. Imagine that! One of the biggest standout features of the Samsung Digital Cockpit is the driver monitoring system. Using a cabin-facing camera and machine learning, the system can alert drivers when they aren’t paying attention to the road, are falling asleep, or have a medical emergency. Paired with lane departure monitoring, this simple feature could mean the difference between life and death for many drivers on the road. We’ve previously written about the helicopter company, Bell, and their ambitious plan with Uber to release air taxis. At last year’s CES, the company debuted the cabin of these “flying cars”. For 2019, they debuted the newest exterior concept for their passenger vehicle named the Nexus. The Nexus is a hexicopter that’s capable of carrying 4 passengers, plus a pilot. It boasts six rotary fans that will be able to move the massive vehicle up to 240 km/h, up to 240 km in one trip, as promised. A lot of new car announcements at the 2019 Consumer Electronics Show were for drivers. Makes sense, right? This year, though, Audi unveiled something that might make you jealous of those in the passenger seat. Called Audi Holoride, the system merges virtual reality with environment monitoring to turn your car into a video game on wheels for passengers. How does it work? Your passengers simply put on a VR headset and they’ll be transported into a VR experience that interacts with the drive and environment. Imagine dinosaurs soaring above or transforming the car into a boat that’s sailing the sea! During a long road trip, you could entertain the kids (or yourself) with games or visit real historical locations along the way. In theory, you could drive through Ancient Egypt without ever leaving your neighbourhood! Move over flying cars, walking cars are here! The Hyundai Elevate is a four-legged first response vehicle, that kind of looks like a Star Wars inspired robot car. It’s an incredibly versatile vehicle with four extendable legs that allow it to drive, walk, or climb on any terrain. With a feature called “active suspension”, the legs can follow any uneven terrain while keeping the car body completely level for passengers. The Hyundai Elevate was created to help emergency workers traverse harsh terrain during a natural disaster. The design is a modular chassis, which features interchangeable bodies that can be swapped depending on the emergency situation and environment. The interchangeable bodies means that the same frame can carry an ambulance cabin for one mission, and a supply cabin for another. The Head of Hyundai’s Tech Center, John Suh, said “people living with disabilities worldwide that don’t have access to a wheelchair ramp [would be able to] hail an autonomous Hyundai Elevate that could walk up to their front door, level itself, and allow their wheelchair to roll right in”. That’s some of our favourite new technology from this year’s Consumer Electronic Show. Are you excited to see any of this tech hit the road? Would you use it when it does? While these features and machines are impressive, they’re still a few years away from releasing to the public. If you have any questions about your current car or would like to schedule an appointment, don’t hesitate to contact your local Master Mechanic today. We’re always happy to help! < ASK A MASTER MECHANIC: WHY DOES MY STEERING WHEEL MAKE NOISE?